The first 214 homes for rent and sale from Triathlon Homes at East Village have been handed over by the Olympic Delivery Authority. Geoff Pearce, Executive Director of Triathlon Homes, said: “We are very pleased the first Triathlon Homes residents are now living in their new homes with hundreds more moving in within the next few weeks and months. With the handover of further homes imminent, we look forward to welcoming our residents into what will be a fantastic new neighbourhood in London”. The new homes range from one bedroom apartments to four bedroom townhouses, with balconies, spacious private terraces, or winter gardens. They are centred around private courtyards, with neighbouring public spaces including new parklands, wetlands and children’s play areas, all on the doorstep of Queen Elizabeth Olympic Park and Westfield Stratford City. East Village features a new Academy school, which began admitting students in September, and a Health Centre that is seeing its first patients this week. 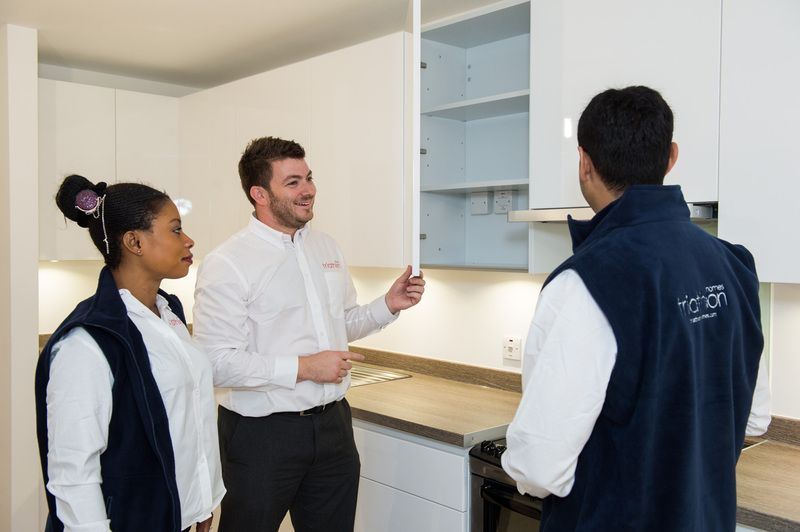 Since the end of the London Games, the Olympic Delivery Authority, development manager Lend Lease and their contractors have been re-configuring all the homes in the former Olympic and Paralympic Village, removing temporary features and fitting brand new kitchens and flooring. Work is continuing on the remaining homes, which will be handed over in phases during the remainder of 2013 and the first part of 2014.